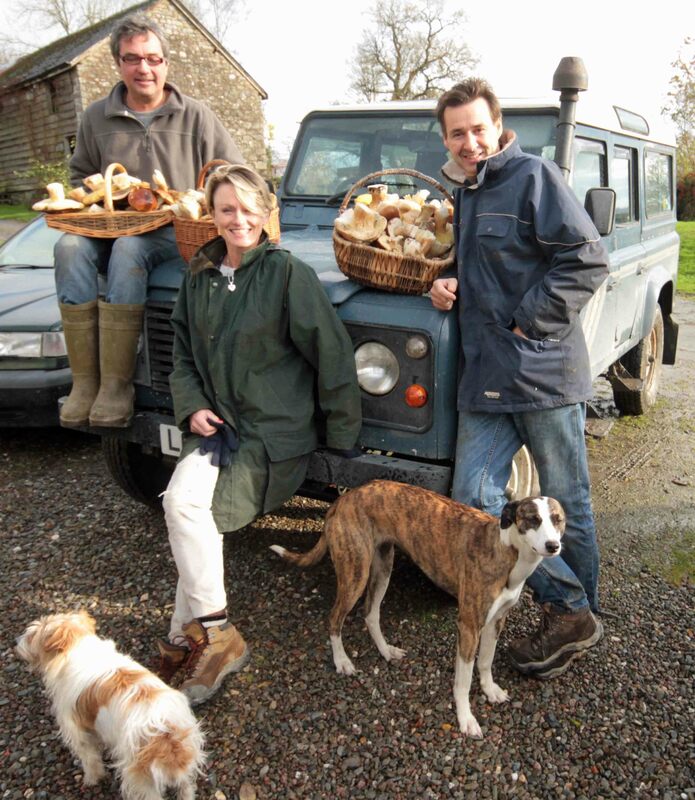 Britain has the perfect climate for some of the most delicious wild mushrooms known to man. They grow in our woods, pastures and hedges by the bucketful, yet almost all of us ignore this natural bounty. This is a tragedy. Many of the commonest mushrooms are not only superbly edible, but cost a small fortune in delicatessens, let alone on a restaurant menu. These forays are conducted in the spectacular scenery of Mid-Wales. Unlike many other forays, they focus on edible species. They are all about what is good to eat – and what to avoid. The height-of-season breaks (Sept/Oct) usually begin at The Abbey-Cwm-Hir Village Hall at 9.45am. We drive from here to a local fungal hotspot and wander for three hours through the trees identifying and talking about fungi. This is followed by a mushroom-based meal, preserving and tasting sessions in Daniel’s converted 17th century milking parlour. The day ends around 4pm. Led by experienced guide, Daniel Butler, these breaks are targetted at the beginner. They seek to de-mystify fungi: to guide the novice through the good, the bad and the ugly to the genuinely delicious. 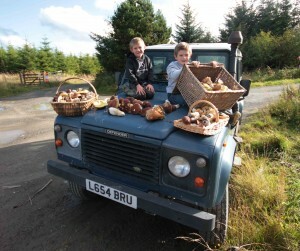 Mid Wales breaks Welcome to the wonderful world of wild mushroom hunting. Although these breaks are set in Mid-Wales, the lessons learned here can be applied everywhere, because fungi know no boundaries. Provided conditions are right, almost every species is theoretically global in distribution (the biggest porcino ever found was a 7 kg monster in the Snowy Mountains of Australia). Closer to home, however, all of the 50-odd edible species I have found in Radnorshire can potentially occur anywhere in Britain. That said, conditions here are particularly good for fungi because the area is heavily forested with both ancient broadleaf woods and younger conifer plantations. In addition most pasture has never been ploughed (soil disturbance spells the end for many grassland species). This means that on one short walk we can explore a wide range of habitats and maximise the variety of finds (my record is 31 edible species in one morning). 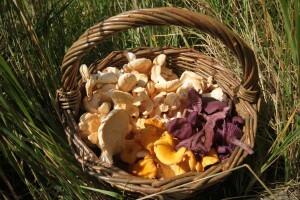 Filling a basket with delicious mushrooms is normally easy: the next question is what to do with them. Many are delicious cooked immediately in a variety of tempting recipes, but in a glut most can be preserved for later use. 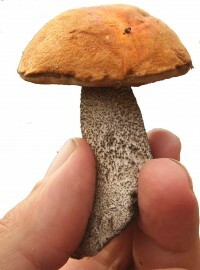 Indeed some, such as porcini, are arguably superior after drying, so there is a demonstration of drying and preserving methods to allow you to store your haul for the long winter months. 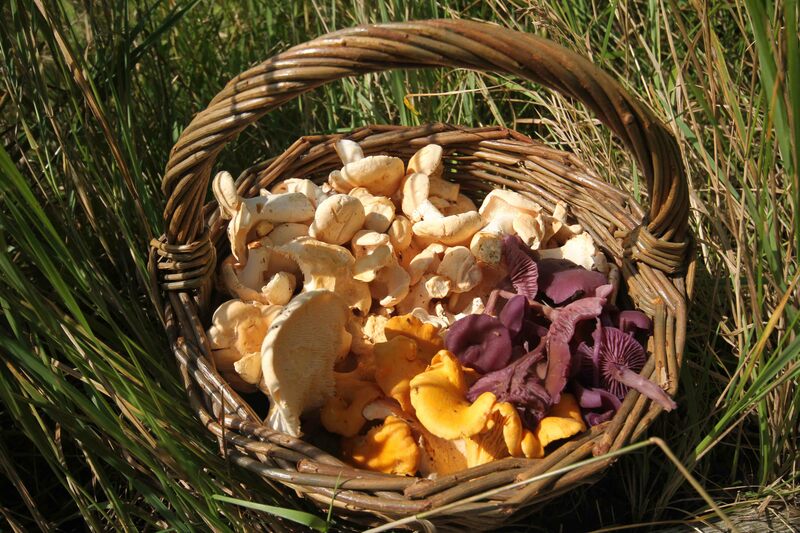 Ultimately the gastronomic qualities of wild mushrooms are up to the individual, so guests decide for themselves with a tasting session . . . and you would be surprised by how much the results can vary. After this, they go home with their share of the haul to enjoy at home: what better way to round off plenty of exercise in the champagne air and spectacular beauty of the Cambrian Mountains?